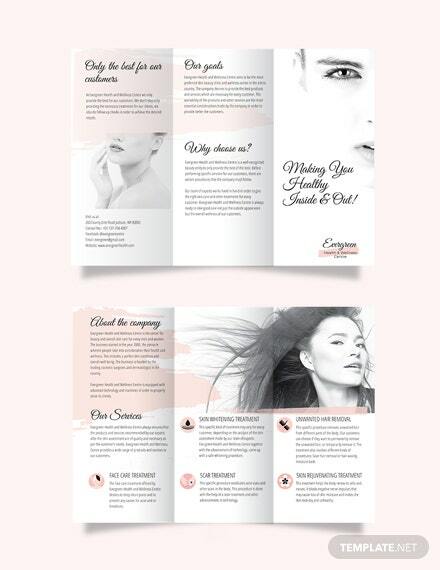 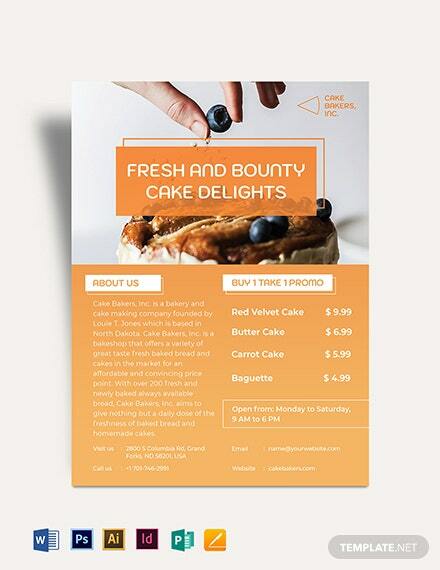 Effectively craft a brochure with the help of this specifically designed template for a bakery cake shop. 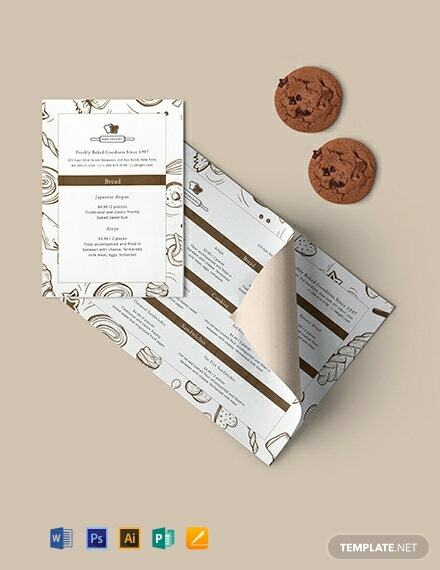 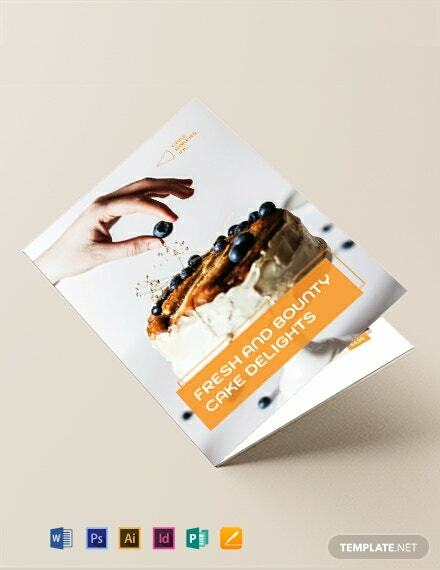 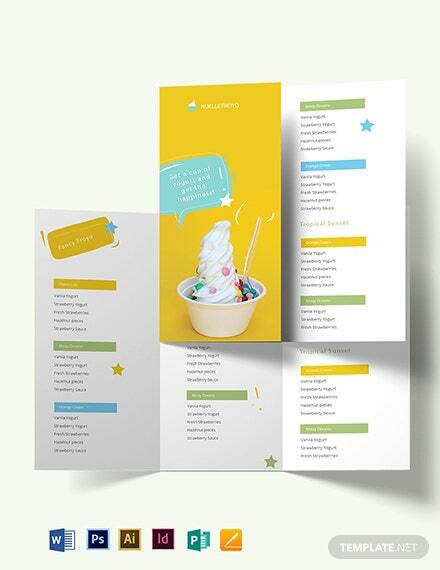 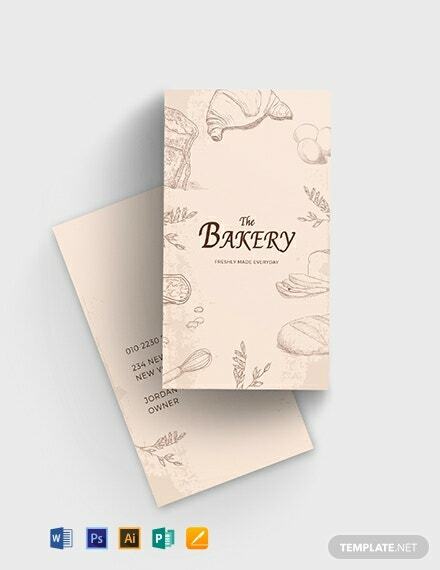 This Bakery Cake Shop Tri-fold Brochure Template will surely help you effectively make your marketing and +More advertising strategies a success. 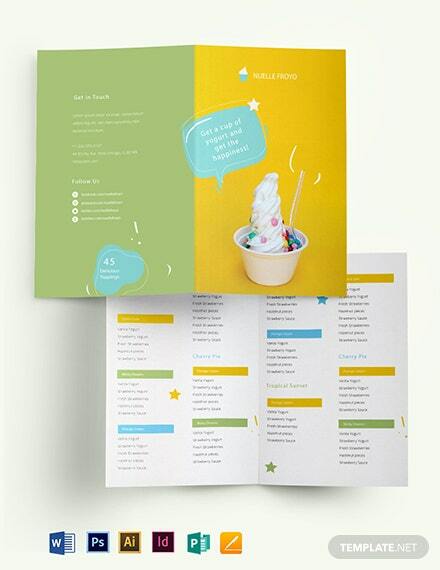 This template was designed with user-friendliness in mind, including great content and royalty-free graphics layered onto scalable vectors for instant personalization. 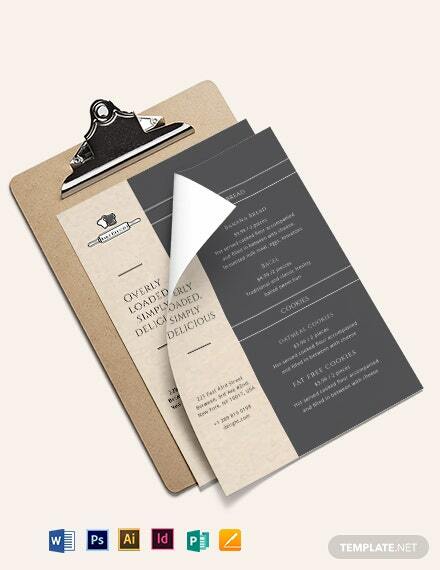 Did we also mention that it can be downloaded onto any of your devices so that you can edit it anytime and anywhere? 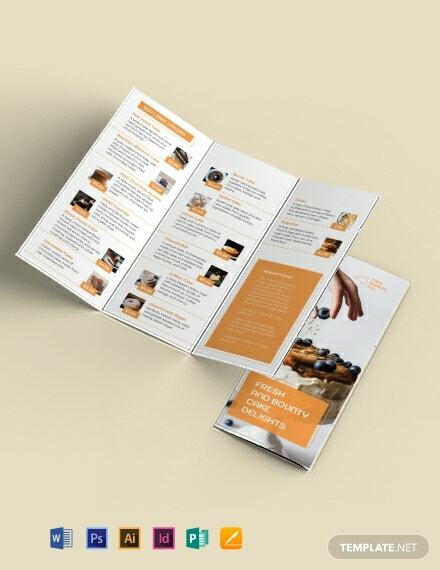 It’s quick, easy, convenient, and gets the job done. 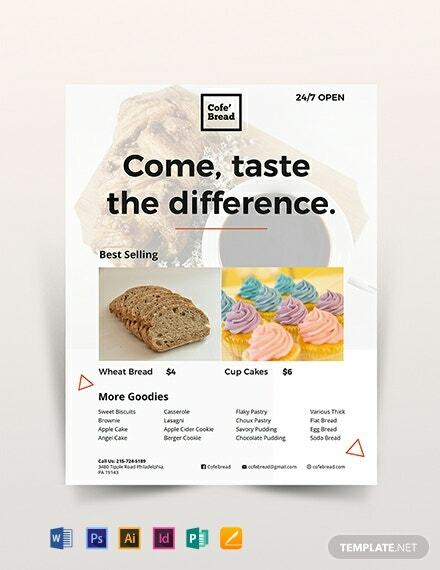 Why pass up on this opportunity? 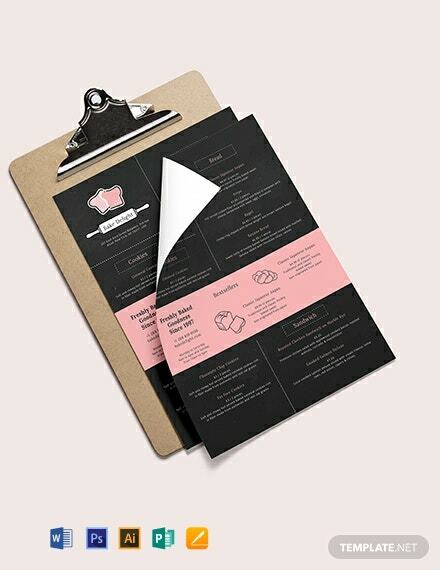 Get your hands on this versatile template now while it is still hot and available in the market!